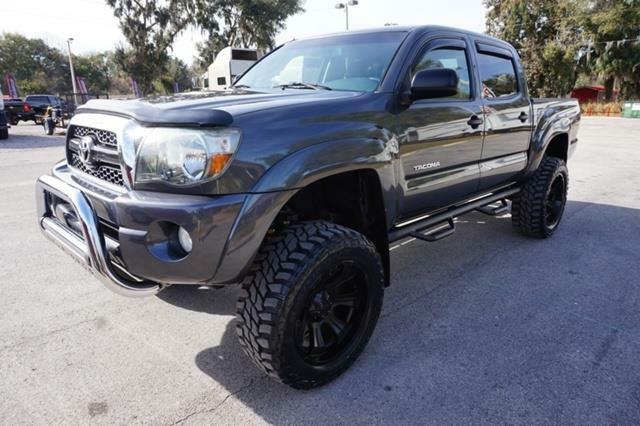 PreRunner, Come see this 2015 Toyota Tacoma PreRunner. 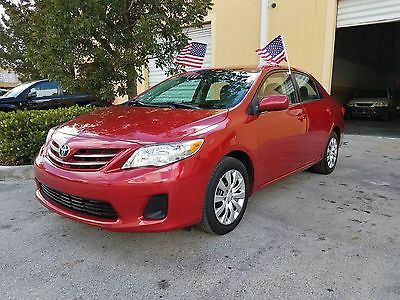 Its Automatic transmission and Regular Unleaded V-6 4.0 L/241 engine will keep you going. 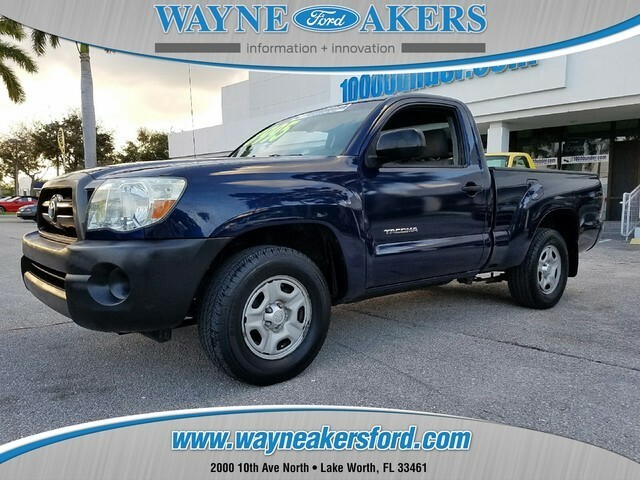 This Toyota Tacoma comes equipped with these options: Wheels: 16 x 7J+30 Style Steel, Urethane Gear Shift Knob, Transmission: 5-Speed Automatic w/ECT-i, Tires: P245/75R16, Tailgate Rear Cargo Access, Steel Spare Wheel, Splash guards, Single Stainless Steel Exhaust, Side Impact Beams, and Regular Dome Lighting. 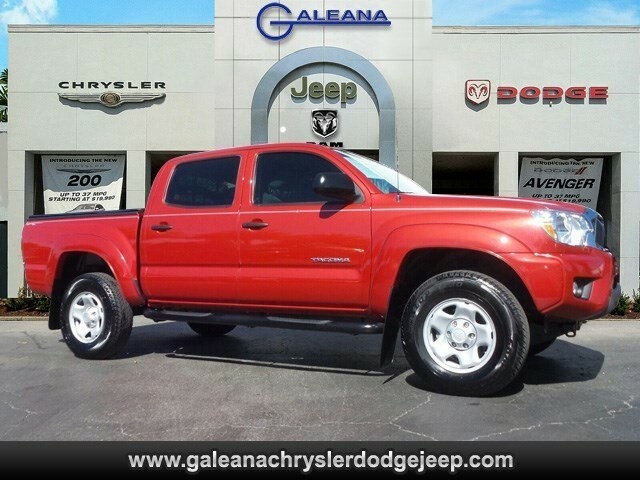 Test drive this vehicle at Galeana Chrysler Jeep Dodge Ram, 14375 South Tamiami Trail, Fort Myers, FL 33912. 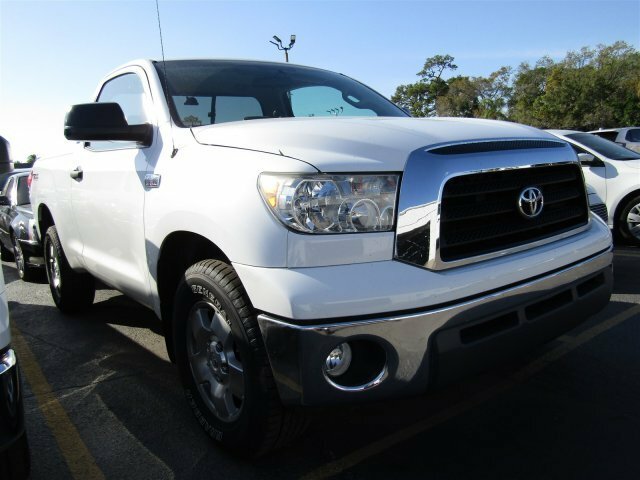 Gasoline, Automatic Transmission, 2004 Toyota Tundra Limited in Natural White, Tundra Limited, 4D Double Cab, 4.7L V8 SMPI DOHC, 4-Speed Automatic with Overdrive, 4WD, Cloth. Odometer is 70284 miles below market average! 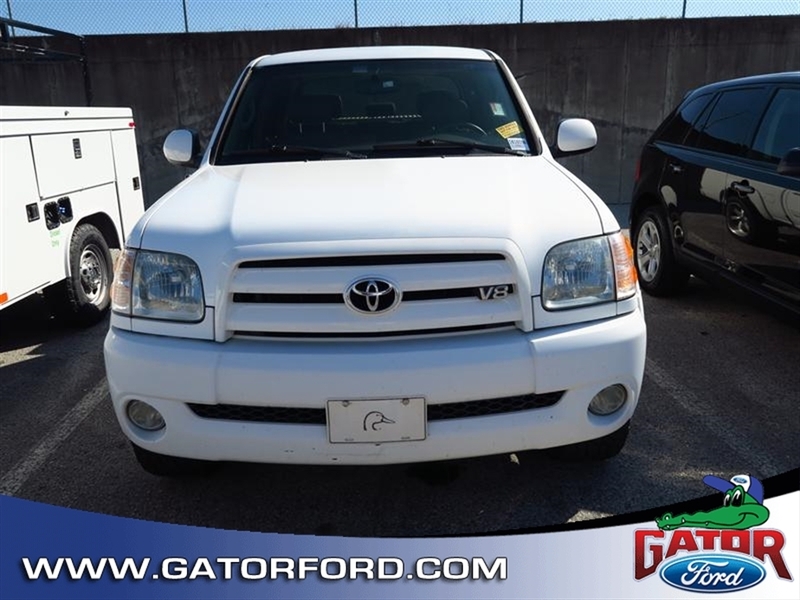 2004 Toyota Tundra Limited 4.7L V8 SMPI DOHC Natural White Tundra Limited, 4D Double Cab, 4.7L V8 SMPI DOHC, 4-Speed Automatic with Overdrive, 4WD, Cloth, 4.10 Axle Ratio, 8 Speakers, ABS brakes, Air Conditioning, Alloy wheels, AM/FM radio, Bodyside moldings, Bumpers: body-color, Captain's Chairs, Cassette, CD player, Cloth Seat Trim, Color Keyed Overfenders, Driver door bin, Driver vanity mirror, Driver's Seat Mounted Armrest, Dual front impact airbags, Fog Lamps, Front anti-roll bar, Front Bucket Seats, Front fog lights, Front reading lights, Front wheel independent suspension, Illuminated entry, JBL 3-in-1 AM/FM Cass/CD w/8 Speakers, Overhead console, Panic alarm, Passenger door bin, Passenger seat mounted armrest, Passenger vanity mirror, Power door mirrors, Power driver seat, Power steering, Power windows, Radio data system, Rear seat center armrest, Rear step bumper, Remote keyless entry, Security system, Speed control, Speed-sensing steering, Split folding rear seat, Steering wheel mounted audio controls, Tachometer, Tilt steering wheel, Variably intermittent wipers, and Voltmeter. 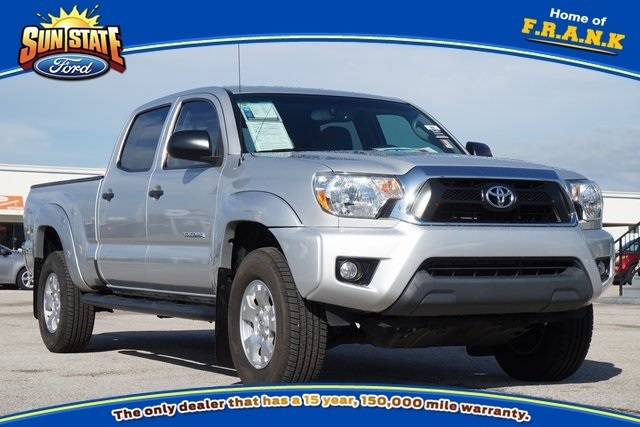 Home of Hand Picked pre-owned cars and trucks...! 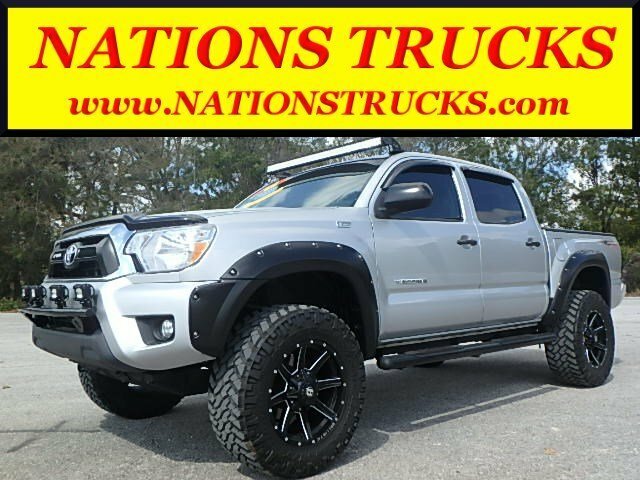 PreRunner V6 4x2 4dr Double Cab 5.0 ft SB 5A, Pickup Truck, 2011 Toyota Tacoma Double Cab PreRunner 4.0L V6 Engine Automatic Transmission 2011 Toyota Tacoma Double Cab PreRunner 4.0L V6 Engine with 5 Speed Automatic Transmission and 77843 Miles. Magnetic Gray Metallic Exterior Paint with Gray Cloth Interior. 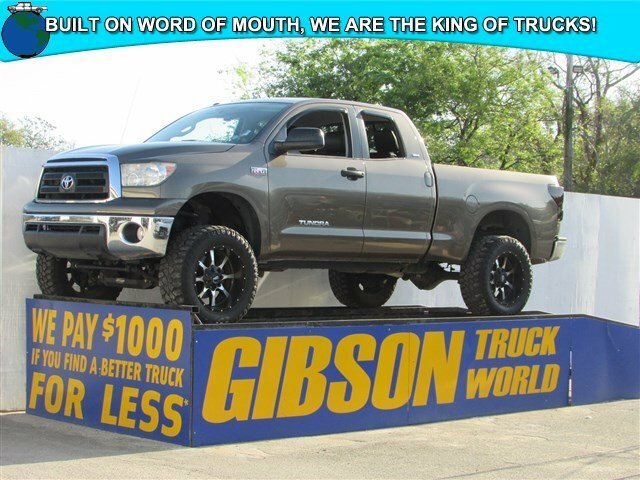 Short Bed with Bed Liner, Black Running Boards and Factory Tow Package. 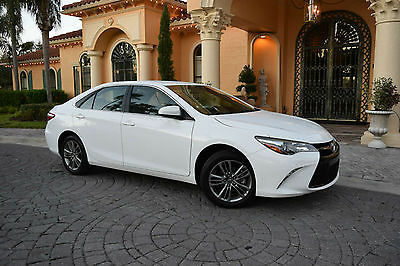 Power Windows, Power Door Locks, Power Mirrors with Tilt and Cruise. AM/FM CD Radio with Steering Wheel Controls and Back Up Camera. Aux input for your Ipod and center console storage. Brand New 6 Suspension Lift with New 20 Black Rims and New 305x55x20 Tires. 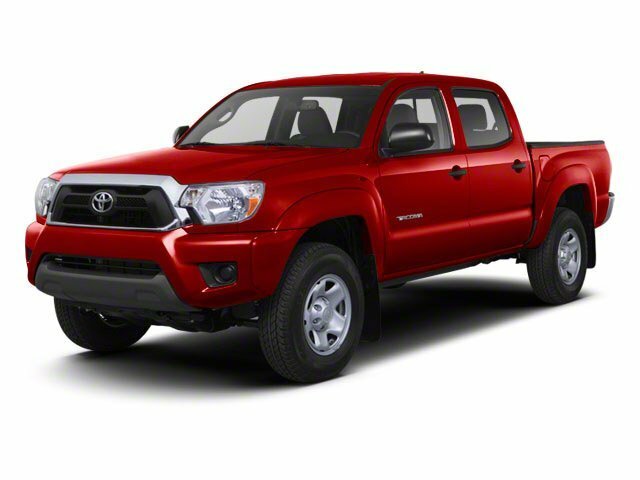 This truck runs and drives great so give us a call today. The Car Store is a family selling to families since 1989. We will not sell you anything we would not want to own ourselves. 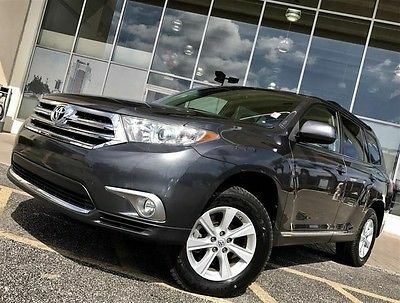 Our unique vehicles priced right are one of the reasons we have customers from all over the world purchase their vehicles from us. You owe it to yourself to come down and see it in person. Call us toll free from anywhere in the USA at (888) 214-7421. We can arrange to meet you at the airport or provide you with a free shipping quote. The Car Store is convenient to Tampa and Orlando. From Tampa, we are just 3 miles east of I-75 off the MLK exit on the left hand side. From Orlando, take I-4 to Exit 14, drive 2.5 miles south and turn right on MLK. We are 1.5 miles ahead on the right hand side. 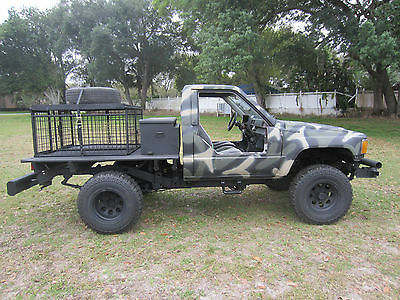 1986 Toyota Pickup 4WD219,064 milesManual transmission 31X10.5015R Mud Claw Extreme MT Custom doorsSunroofDog boxesTool box with gun mountThis truck was built to hunt. Please contact Dallas Summerlin @ (352)444-4898 or d.summerlin1993@gmail.com with any questions. Financing available. Gator Harley Davidson is a family owned business located in Leesburg, Florida. We have been serving the residents of central Florida for over 23 years. We sell all used motorcycles AS IS. While we make every effort to ensure that the bikes we sell operate as they are intended, we make no warranties, either implied or expressly, about the operation of the bike being sold. A $500 deposit, via paypal, is required within 48 hours of winning auction or selecting the buy it now option. Long Distance Buyers: I will need a copy of your photo Id and mailing address. Purchase documents will be overnighted to you with a return label and instructions. I will not release any vehicles without these documents being signed. Payment can be made via wire transfer or cashiers check. General Terms and Conditions: $495.00 Dealer Fee. Buyer is responsible for tax, tag, and title fees. All items are subject to prior sale off ebay. Removal of sold items can take up to 24-48 business hours to cancel. 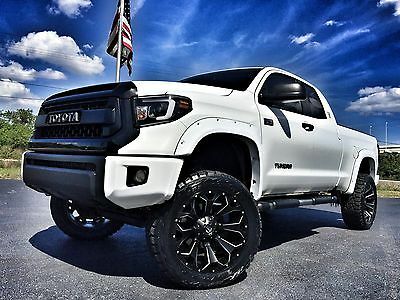 In the event a sold item is purchased on ebay your paypal deposit will be promptly refunded or may be used to hold another vehicle. All sales are final, there are no refunds. Do not assume anything, if you have a question feel free to ask. By bidding/making an offer/using buy-it-now on the auction you agree to any and all terms expressed and/or implied. These are pre-owned vehicles and they are sold in 'AS IS' condition. However, many vehicles are still under factory warranty. Odometer mileage is posted at the time of listing, but due to local test driving, demos, or in-transit repairs this may vary. Thank you for your business, we very much appreciate it! Tax Information: Florida buyers are required to pay tax, tag and title fees. We reserve the right to end auction at any time. 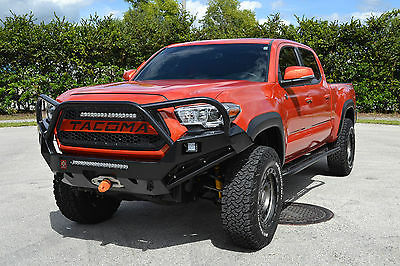 2016 Toyota Tacoma Tacoma TRD OFF ROAD 4wd Super Clean!